When the cervix dilates to 10 centimeters, the pushing and delivery phase of childbirth begins. During this phase, the baby starts the journey down the birth canal. 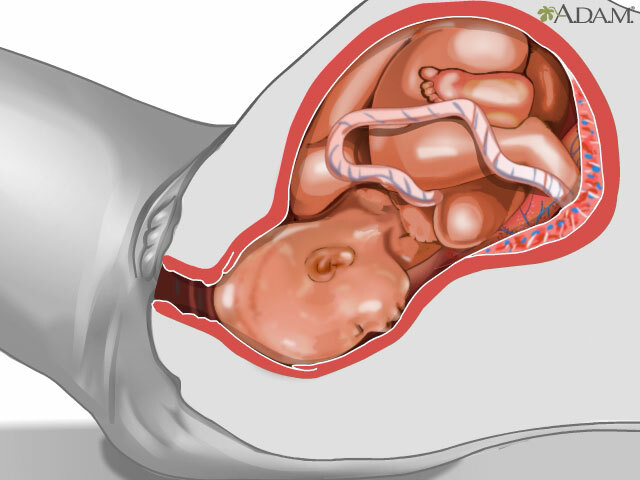 As the baby's head rotates, it may become distorted while slowing coming down the narrow opening. The baby's skull bones have gaps called fontanelles that allow the head to elongate and fit within the birth canal. As the baby's head is delivered, it will naturally turn to one side. The baby's head and shoulders are supported and the rest of the baby's body generally comes out fairly quickly.